The Astronomical Society of London was conceived at a dinner meeting at the Freemason's Tavern, in Lincoln's Inn Fields, London, which later became the Royal Astronomical Society. J. Chacornac discovered asteroid #38 Leda. The Aeronautical Society of Great Britain was founded in London which later became the Royal Aeronautical Society. M. Wolf discovered asteroid #352 Gisela. G. Van Biesbroeck discovered asteroid #993 Moultona. K. Reinmuth discovered asteroids #1012 Sarema and #1092 Lilium. The History of Science Society was organized at Boston, Massachusetts. President Eisenhower called on the USSR to dedicate outer space "to the peaceful uses of mankind." Purple Mountain Observatory discovered asteroid #2078 Nanking. B. A. Skiff discovered asteroids #2864 Soderblom and #2881; and N. G. Thomas discovered asteroid #3614. NASA launched STS 61-C (Columbia 7, 24th Shuttle mission) which successfully deployed the SATCOM KU-1 satellite, with the first Hispanic-American astronaut aboard, Dr. Franklin R. Chang-Diaz. STS 61-C was launched 12 January 1986 with a countdown that proceeded with no delays after having been scrubbed from 6 previous launch attempts. During the mission, the SATCOM KU-1 (RCA Americom) satellite, attached to a Payload Assist Module-D2 (PAM-D2) motor, was deployed. The Comet Halley Active Monitoring Program (CHAMP) experiment, a 35mm camera to photograph Comet Halley, did not function properly due to battery problems. 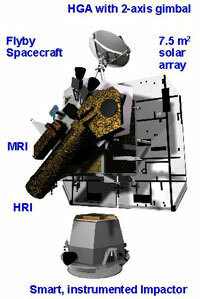 Other payloads were: Materials Science Laboratory-2 (MSL-2); Hitchhiker G-1; Infrared Imaging Experiment (IR-IE); Initial Blood Storage Experiment (IBSE); Hand-held Protein Crystal Growth (HPCG) experiment; three Shuttle Student Involvement Program (SSIP) experiments and 13 Get Away Specials (GAS), 12 of them mounted on a special GAS Bridge Assembly. The mission ended on 18 January 1986 when Columbia landed on revolution 98 on Runway 22, Edwards Air Force Base, California after landing attempts at Kennedy for three days were abandoned due to bad weather. Rollout distance: 10,202 feet. Rollout time: 59 seconds. Launch weight: 256,003 pounds. Landing weight: 210,161 pounds. Mission duration: six days, two hours, three minutes, 51 seconds. Orbit altitude: 212 nautical miles. Orbit inclination: 28.5 degrees. Miles traveled: 2.5 million. Columbia was returned to KSC 23 January 1986. The flight crew for STS 61-C was: Robert L. Gibson, Commander; Charles F. Bolden, Jr., Pilot; Franklin R. Chang-Diaz, Mission Specialist 1; Steven A. Hawley, Mission Specialist 1; George D. Nelson, Mission Specialist 2; Robert J. Cenker, Payload Specialist 1; Congressman Bill Nelson, Payload Specialist 2. NASA launched STS 81 (Atlantis 18, 81st Shuttle mission) for the fifth Shuttle-Mir docking. NASA launched the Deep Impact probe toward comet Tempel 1, which struck the comet nucleus with a 370 kg impactor on 4 July 2005 as the probe's flyby component took pictures.